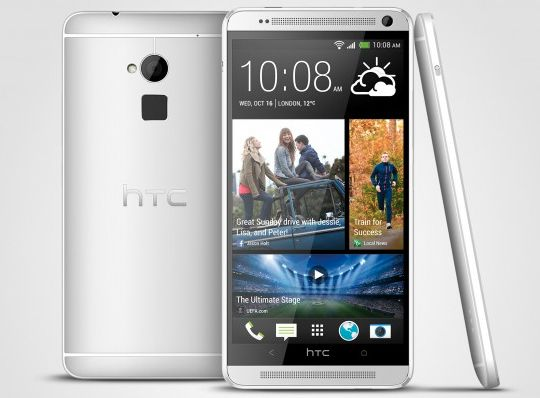 HTC announced the HTC One Max yesterday, its own phablet response to Samsung’s Galaxy Note 3. The phablet is designed to compete with Samsung’s very own (and in the category that Samsung coined ahead of the competition). With that said, we wanna take time to compare these two phablets and see which one you should purchase. Both Samsung and HTC look to push the limits in the phablet category. Popular smartphones have gotten larger in the last two years, and Samsung’s Galaxy S series now boasts 5-inch displays, as opposed to a 4.8-inch display in the Galaxy S3 and a 4.5-inch display in the Galaxy S2. With popular smartphones reaching 5 inches in display width, it was only a matter of time before phablets such as the Galaxy Note pushed the boundaries in the display department. 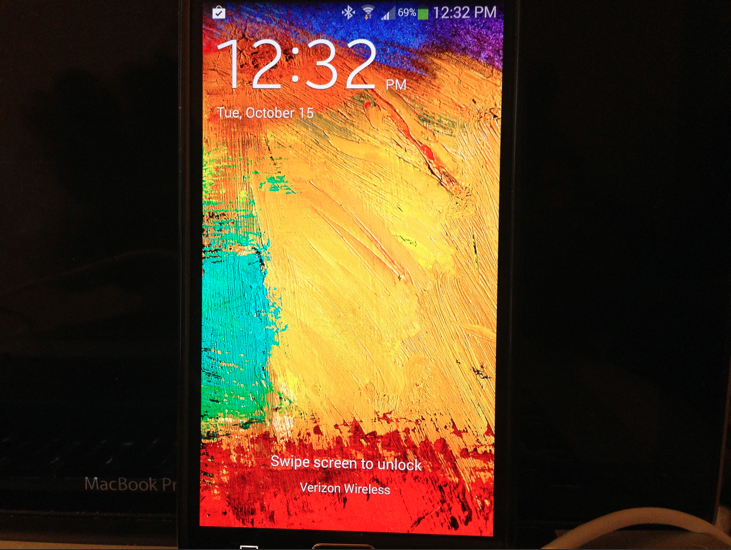 Samsung’s Galaxy Note 3 boasts a 5.7-inch display, while the HTC One Max boasts a 5.9-inch display. The difference between the two displays is negligible (0.2 inches), so you’ll get a fabulous phablet (who knew I could put those two words together, “fabulous” and “phablet”?) experience out of both devices. The difference in the display department will likely come down to Samsung’s choice of a super AMOLED display versus HTC’s LCD display, not to mention viewing angles on both devices. The screen resolution of both devices is also the same (1920 x 1080), so the movie-watching and web-surfing experience will be great with either. The Galaxy Note still retains some of the plastic feel on its back, but the plastic has been revised somewhat: instead of the usual, flimsy feel, Samsung has added some leather material to produce a more premium experience. Trust me, even when you remove the back component, you will still feel the flimsy plastic on the inside; at the same time, however, you will not notice it when you hold the device in your hands because of the leather stitching on the front of the back plate. As for the HTC One Max, it comes in the same build quality as the HTC One – so you won’t miss the metal build quality that you’re looking for. Most individuals who love the HTC One will say that the HTC One Max is thus, better in every way than the Note 3. I, however, will disagree and say that the Note 3 (according to recent torture tests) will actually fare better on the concrete than the HTC One. Android Community said recently in its own HTC One Max review that HTC’s wide display poses problems for the HTC One Max build quality: for one thing, the device feels heavier in the hand than does the Galaxy Note 3. While users may enjoy the build quality, they will likely not enjoy the heavy-handedness of the device and may do better to opt for the Galaxy Note 3 instead. I point out this feature of the phablet war because of the changes HTC made with its HTC One Max as compared to the original HTC One. HTC emerged with its One smartphone earlier this year, and did not allow for a removable back plate or memory expansion. With the HTC One Max, however, HTC decided to give users a microSD card slot for memory expansion. The company doesn’t want memory expansion to be a drawback for the adoption of the device by the consumer public, but CNET claims that the non-removable battery still remains an insurmountable drawback for some consumers. 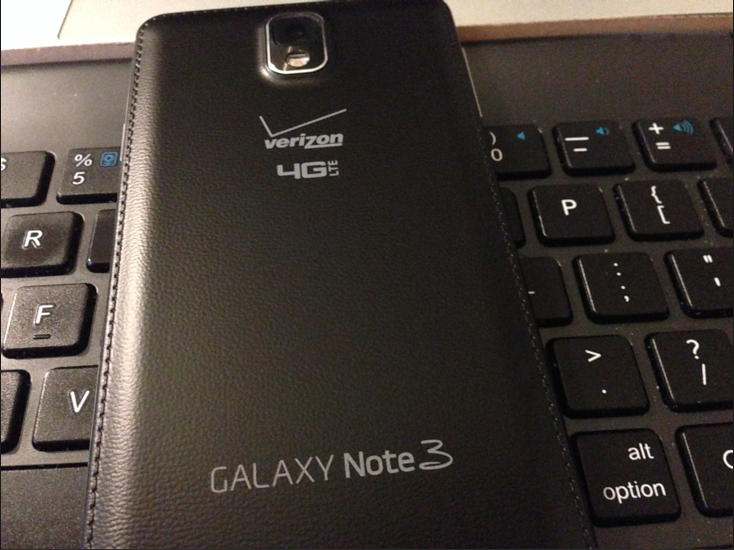 Samsung’s Galaxy Note 3 defeats the HTC One Max all too easily when it comes to the removable battery option. As it has done with all of its smartphones to date, Samsung still allows a removable battery that can be swapped out for a new one at any time. However, while Samsung does have this one on HTC, HTC has a trick of its own: HTC released the HTC One Max with a battery case that will contain an additional 1150mAh of battery life – bringing the total battery life to 4,450mAh. In addition, the internal battery of the HTC One Max slightly nudges out the Galaxy Note 3 by only 100mAh. 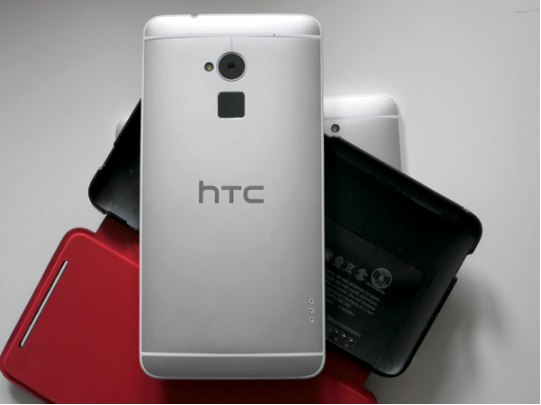 With that said, the HTC One Max will offer more battery life with the internal battery and battery case combined. I like the direction Samsung is headed in with its leather (or faux leather, or pleather, as some have suggested) back plate material, but Samsung should begin to release battery cases for its devices. After all, you can never get too much battery life when it comes to your mobile devices. The HTC One didn’t necessarily have a great camera according to reviews, but there’s no denying that it took better low-light photos than did Samsung’s GS4. If you are expecting the same camera quality for low-light photos in the HTC One Max, think again. Android Community states in its review that HTC really dropped the ball on camera quality, even going so far as to remove optical image stabilization from the device. OIS is a step forward, so to remove it is a step in the wrong direction. Samsung’s Galaxy Note 3 comes with OIS, helping to eliminate motion blur in your photos. In the words of Android Community, “Unfortunately, despite being larger than the HTC One, the One max drops the camera’s optical image stabilization. The end result is a dip in low-light and sports performance…” Anyone who has used OIS can testify to the fact that it is a significant feature of smartphone cameras. Samsung’s Galaxy Note 3 could not handle a fingerprint scanner, so HTC decided to take some cues from Apple’s iPhone 5s and release a fingerprint-scanning device of its own. It’s not a surprise to me that many iPhone lovers opt for the HTC One over the Galaxy S4: HTC takes many of its cues from what resonates with iPhone lovers. While that can be a good thing at times, it can also backfire. 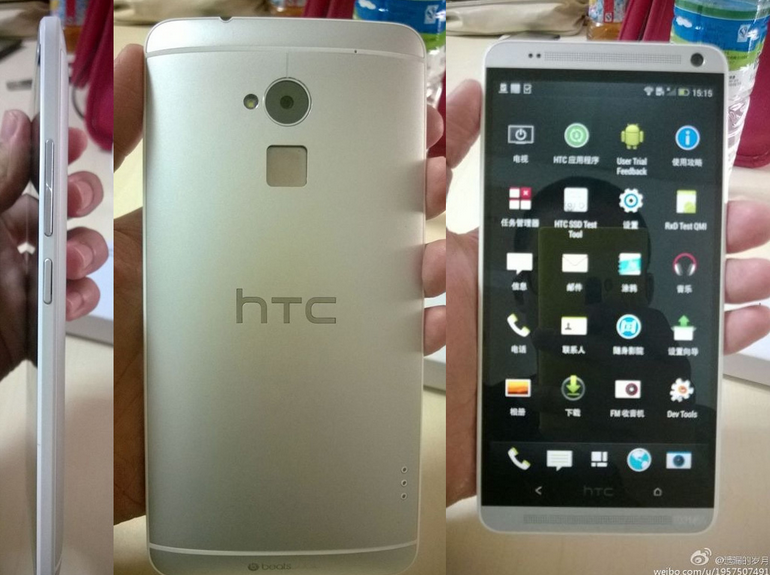 Unfortunately, the fingerprint scanner idea backfires for HTC here. While the fingerprint scanner may work extremely well when the phone is released, it’s placed on the back of the device and is only used to unlock the phone after you manually unlock the screen. In other words, it doesn’t have the functionality to compete with the iPhone 5s Touch ID setup. To add to this, HTC has yet to announce what it intends to do with the fingerprint scanner, other than add it to the back of the phone for a “we’re ahead of the tech curve” statement. I love Samsung, but I think that HTC has done with the fingerprint scanner what Samsung did with its Galaxy Gear smart watch – both released devices to say “we did this first,” but neither developed the product properly before launching it on the market. Sometimes, it may pay off to be second in line rather than first in such things. I say this as someone who appreciates tech trends and innovation. The HTC One may be one of the most popular phones of 2013, but HTC shows us in the HTC One Max that it is still behind Samsung in the phablet category. This is not surprising: after all, Samsung sets the standard for what Android smartphones should be. While TouchWiz may not be a standard favorite UI, HTC Sense 5.5 and the metal build quality are not enough to place the HTC One Max over the Galaxy Note 3.